The Lady in Red walks Long Island’s shore. Today we celebrate Evacuation Day in Boston. School is closed because yesterday was a Sunday and the actual anniversary of March 17, 1776 when the British military fled Boston. The fleet of the mightiest navy in the world departed Boston Harbor under heavy cannonading by George Washington’s forces. The colonial army was using guns that had been dragged to Boston from Fort Ticonderoga by a contingent led by Henry Knox. Abigail Adams saw the fleet departing and described the ships’ masts as a “forest” in the harbor. On board the British ships were 11,000 soldiers and 1,019 citizens who remained loyal to King George and wanted to return to England. Two of these Loyalists were newlyweds William and Mary Burton. Their hoped-for married life in Britain was not to be, however. Mary was struck in the head by a cannonball fired from Long Island as their ship made its way seaward. She was not killed immediately but lingered on for several days in great pain. As she lay dying, Mary pleaded with her husband not to bury her at sea. After her death on board the ship, the British and the colonial forces on Long Island struck a truce, and William Burton was allowed to come ashore to bury his love. Burton sewed his wife’s body into a red blanket that Mary had brought aboard to keep warm on the long journey home. He laid her to rest on the East End of Long Island and made a grave marker from a piece of driftwood. He vowed to return to Boston some day and give her a proper head stone, but he never did come back. The British fleet did not depart immediately. The ships stayed at anchor in Boston’s outer harbor and blockaded the port for another three months, exchanging gunfire with shore batteries. They finally left on June 13, 1776 when a barrage of cannon fire from the East End hit the British flagship Milford. British Commodore Banks ordered his ships to put to sea. On July 17, 1776, that same Long Island Battery on East Head fired a thirteen-gun salute to celebrate the Declaration of Independence. But Mary Burton refused to be forgotten. Her wooden grave marker soon disappeared. 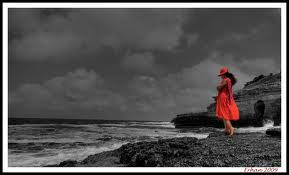 But in 1804, fishermen shipwrecked on Long Island encountered her ghost, wrapped in a red cloak and sighing mournfully. With blood pouring from her head wound, she floated over a hill and disappeared. The Lady in Red was also seen and heard in 1891 by a soldier at Fort Strong, which was built on the island shortly after the Civil War. March 17 is better known around here as Saint Patrick’s Day. But Evacuation Day was one of the turning points in America’s war for independence. Had it not taken place in 1776, we might not today enjoy the religious freedom that allows us to honor Boston’s patron saint. But also, had Evacuation Day not taken place, William and Mary Burton would likely have spent many happy years together and given the world their children whose descendants may have been our friends, neighbors and relatives. Let us today remember Mary Burton, the Lady in Red, and pray that she rest in peace at last. I started covering college hockey in 1969, the same year that Jack Parker began his coaching career at Boston University. Jack is retiring after 40 seasons as head coach of the Terriers. Here’s a look back, and a few thoughts I’d like to share, on Jack and his life’s work. 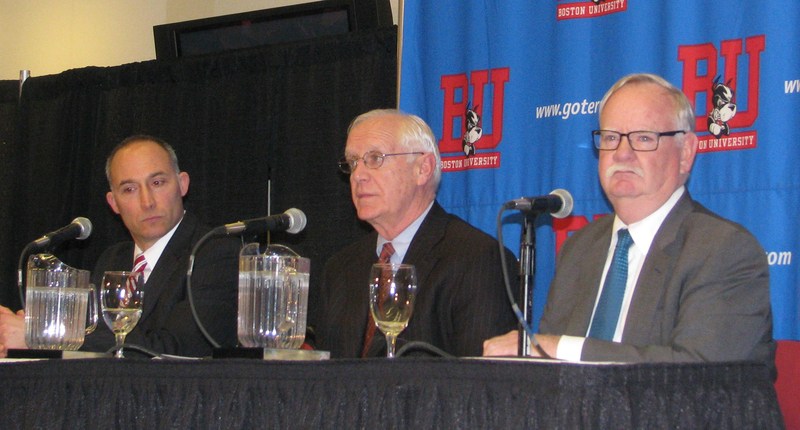 Parker meets the media with Mike Lynch, left, and Robert Brown, right. Perhaps the only guy who knows how Jack Parker feels right now is Joseph Ratzinger, the former Pope Benedict XVI. Both men departed voluntarily from “destination” jobs in their professions. Both devoted their entire working lives to their institutions. When there was some burning question or issue affecting their respective spheres of influence, the faithful immediately wanted to know what they thought about it. It was more than a family gathering over at Boston University the other day when Parker made it official. This season, his 40th as Boston University hockey coach, will be his last. Many former players and devotees of BU hockey were on hand, of course, along with a crush of media people and dozens more like me who just had to be there. Though we hear it often, and it can sound trite, this was a time to summon all the families: Boston University’s, college hockey’s, and the sports fans of our fair city. This was more than the announcing of a coaching change. A brick in the wall – no, make that a large, weight-bearing stone in the foundation – of Boston, City of Sports Champions, must be replaced. If there’s been one constant in Boston sports over the past half-century, it has been high-quality hockey at Boston University. Parker pointed out that he’s been reporting for duty at BU hockey for 48 of the last 49 years. That’s counts his time as a player and assistant coach. It is hard to imagine BU hockey without Jack Parker, but yes, it is time, as he said himself. Athletic director Mike Lynch and President Robert Brown shared the podium with Parker. Supporting cast for him this day, they said all the right things and were appropriately noncommittal about the Who and the When of his successor. We don’t need to recite chapter and verse of Jack Parker’s accomplishments. But his 21 Beanpot titles will stand for all time, and quite probably his total wins at one school – 894 and counting. His three NCAA championships in three separate decades – the first in 1978, the last in 2009 – show that the game never passed him by and that he could change with the times. College hockey is a special sport. It’s genuinely big-time, in that many of its players go on to long and satisfying professional careers. But there’s not the money to be made in hockey that a school can make in football and basketball. Hockey is mightily expensive, with lots of equipment, costly physical plant, hefty travel expenses, and no television-package bonanzas. For basketball, all you need are five guys and five pairs of sneakers. To me, that remark goes beyond hoping for a straight shooter who tells it like it is. I think what he really meant was that he wants a successor who embraces and articulates with sincerity and conviction the distinct values and brand of his institution. That also means, without stating it, that Boston University’s new coach has to be one of the many Terrier alumni who coach hockey for a living. I don’t know which one is best suited to take the job, but the list is extensive and includes Joe Sacco, David Quinn, Sean McEachern, Mike Bavis, Mike Sullivan, John Hynes, Toot Cahoon, Terry Meagher, Buddy Powers, and possibly a few more. I doubt very much that BU will go for a non-graudate, even though there are many talented coaches out there. If Norm Bazin (Lowell), Nate Leaman (Providence) or Mark Dennehy (Merrimack) were interested and offered the post, for instance, any of them would do a fine job and keep the Terriers in the upper ranks of Hockey East. But it just wouldn’t be quite the same as having someone who’s been brought up in the BU culture. If any school has learned that lesson, it’s Boston University. Jack Parker took over the program early in the 1973-74 season after the school fired Leon Abbott over a recruiting issue. 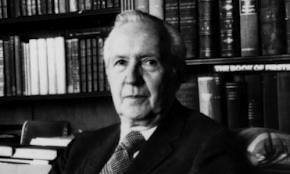 Parker had remained on staff as assistant after the school selected Abbott to succeed Jack Kelley in 1972. The hiring of Abbott was one of the biggest what-the-hell-are-they-thinking moves of all time. The administration snubbed Bob Crocker, a BU man who had been Kelley’s long-time assistant, chief recruiter, and co-architect of two NCAA champions. Leon Abbott was from Western Canada and a capable hockey man. But he had no ties to Boston and was a terrible fit and puzzling choice for head coach of BU. Two years previously, BU’s ECAC quarterfinal playoff against Abbott’s RPI team was a disgraceful woodchopper’s ball. BU had blasted the brawling, mayhem-seeking Engineers 11-0. I remember writing that the RPI team resembled the thuggish droogs in the movie Clockwork Orange. That game was so bad that BU did not schedule RPI the following season. Crocker went off to be head coach at Penn, a prestigious institution but one that that didn’t really care about hockey and didn’t deserve a BU guy as its leader. The Terriers were lucky that Jack Parker was still around when they pulled the trigger on Abbott. And so it was that a misguided decision led to Jack Parker’s early appointment to the job he would have eventually taken anyway. But he was up to the task, even at the tender age of 28. He had learned his hockey under Kelley, also one of best coaches Boston has ever seen. But more importantly, Parker had also been steeped in the BU way. In hockey, that matters. It’s not like basketball or football, where winning is enough. Wins matter in hockey, but so do the tradition and the culture of the institution. Other schools get that message too. In the Eastern leagues, Harvard, Northeastern, BC, UNH, Lowell, Cornell, Yale, Brown, and Dartmouth all have an alumnus as coach. Parker said that the worst incident of his entire career was Travis Roy’s broken neck, suffered on the first shift of the first game in 1995. Travis rebounded heroically and has been an inspiring presence around BU and the sporting world. Jack went on to add that one of the best things about his career was the manner in which hockey people of every lineage and description rallied around the young man. Some of the changes in the game of college hockey during Parker’s long tenure have not been beneficial. But one thing that hasn’t changed is the people of the sport of hockey. “Community” is a much-overused word. It’s a wishy-washy way of describing people who have some sort of common bond. It’s not adequate to describe the tight attraction, the effortless affinity, which we of the college hockey world share. Yes, we badger, tease, and throw verbal stink bombs at one another. But beneath our rivalries is a love and respect for those who play and coach our game, and an appreciation for the institutions that take the game as seriously as our own school does. 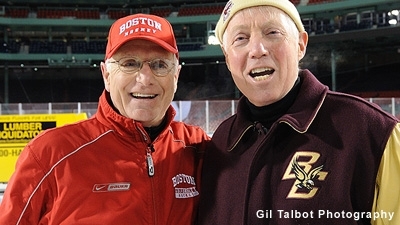 There is no better example of a spirited and appreciative rivalry than that of Boston University and Boston College. We’ve got something wonderful here, and no one knows that as well as Jack Parker. He’s frequently said that one of the best things for BU hockey is BC hockey, and one of the best things for BC hockey is BU hockey. He didn’t always believe that, but he does now. Each team brings its “A” game to every encounter, and it’s always better to be the pre-game underdog than the favorite. In his first couple of seasons as BU head coach, Jack Parker was rather, er, high strung and a chain smoker as well. It seemed to me that he thought his job his job hinged on never losing to Boston College. BC had a number of off years early in Parker’s career, so for a while that was relatively easy to do. Sure enough, it was #8 BC at #1 BU, and it took a late rally and Rick Meagher’s goal-scoring magic to give BU a 6-5 win. The next year’s quarterfinal, same story. Number 4 BU over number 5 BC, 8-7. You can’t imagine the emotions, and you can’t match the memories. There have been many more such clashes, down through the years, and Jack Parker has been there for all of them. Something else about Jack Parker. He’s not just about BU. He’s about Boston. He wore number 6 as a player because he admired Bill Russell, without a doubt the biggest winner that sport in Boston has ever produced. That was back in the sixties. On the other end of his Parker’s career was his 2009 NCAA championship. Miami of Ohio was up 3-1 in the final. When Zack Cohen put home a rebound with 59 seconds left, what popped into Parker’s mind? Bernie Carbo’s pinch-hit 3-run homer against Cincinnati in Game Six of the 1975 World Series. Carbo’s blast tied that game in the eighth inning. BU scored again to tie up Miami 17 seconds left, and then won it in overtime. Colby Cohen’s deflected shot fluttered up and over the goalie’s shoulder in much the same manner as Carlton Fisk’s 12th-inning home run sneaked inside the left-field foul pole against the Reds 34 years before. I’d say 2009 had to be Parker’s most satisfying NCAA win. The record was 35-6-4, but it wasn’t his best team. Several squads that had been more talented didn’t make it all the way. His first national champion team had a record of 30-2. The crown was BU’s to lose that year. Not so in 2009. Nobody feared Boston University. They were good, but every playoff opponent thought the Terriers could be had. Didn’t happen. Every puck bounce and close call that truly counted went BU’s way. I also appreciated Parker’s observations about the game itself. Asked for his views on how the game has changed in his 40 years, he immediately cited the adoption of the full face mask. Total facial protection has made college hockey much faster and much more dangerous. Football’s debilitating injuries and concussions are frequently in the media, but hockey has them too. We have not heard the last of it. He also commented that the goaltending position has changed and improved dramatically over the past decade. True again. Finally, the college game is no longer a post-high school sport. Twenty-two year old freshmen and 25-year old seniors are not uncommon. That’s not good. 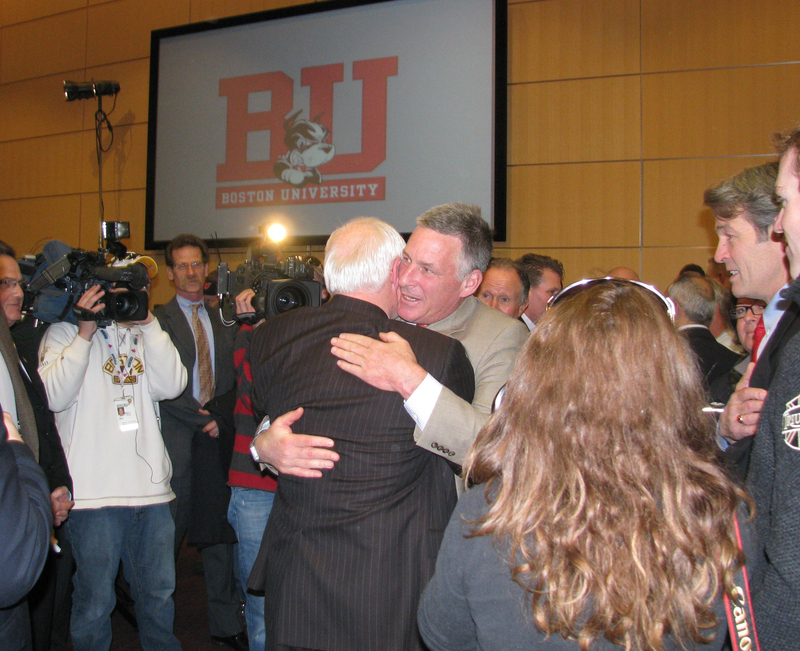 I was glad I made it to BU for press conference and got to shake Jack’s hand. Can’t help but think that it would be rather cool to see him go out with 900 wins. We’ll see about that one. He’d have to make it to the Frozen Four. Not impossible but a long shot for this final Jack Parker squad. BU’s best is as good as that of any Eastern team. But we haven’t seen it very frequently this year, and five regulars who started the season are either injured or have left school. Before closing I want to extend to Jack my congratulations, thanks, and best wishes. Thanks for his friendship and help over the years, and congratulations on the consistent high quality of play and the overall success of his teams over forty seasons. I started covering college hockey for the Hockey News back in 1969-70. That was the same season that Parker came back to BU from a year at Medford High to become assistant coach to Kelley. I’ve been writing about the game and its people ever since. 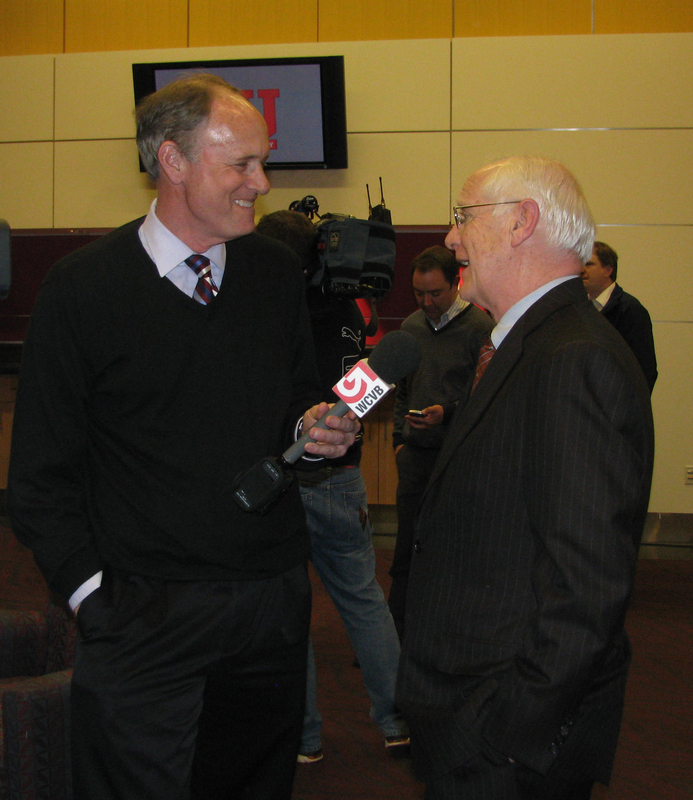 Though I no longer work the beat full-time, I’ve had at least one interview with Jack Parker every single season since then, as we prepared for the annual rite of February, the Beanpot. Perhaps the greatest benefit of working as a writer is that you get to meet with all sorts of different people, and you easily put aside your preconceptions about them. Covering the entirety of Eastern college hockey while I was still a student at Boston College taught me that right away. I learned it primarily by covering BU. Jack Kelley, coach of our bitterest and most implacable foe, wasn’t an ogre whose team of monsters lived to beat up on my school’s team – though they did so regularly. Kelley was unfailingly courteous, generous with his time, and obliging in explaining his thinking and strategies. So too has been Jack Parker. And all those BU kids I’ve interviewed along the way have been were pretty nice young men. As I write, there’s still plenty of college hockey ahead of us. March is by far the best month of the year in this sport, and for four decades Jack Parker and his teams have been there to take part in it. This is his last hurrah, and I sincerely hope it’s a good, loud, and long one. Want to Date a Nice, Smart Girl? Want to Go to a Prestigious College? Watch Your Grammar! I was happy to see the results of the 2013 Match.com survey, which reported that 69% of women judge men by their grammar. Poor English usage is ladies’ second-biggest turn-off. Though I’m long since out of the dating game, I see new hope for curmudgeons like me. It was also nice to note that my alma mater, Boston College, now requires completion of an essay as part of the admissions process. The move has reduced the applicant pool by some 25%, to about 25,000 candidates for 2,287 slots. I agree with BC that the cadre of hopefuls should be of higher quality than before. Only the seriously interested students will make the effort to craft a 400-word personal response to one of four questions. Not everybody sees it this way. A recent Boston Globe story pointed out that Boston University dropped its supplementary essay requirement after just one year. Many of the essays lacked originality and were “too generic,” as one of the admissions staff put it. It will be interesting to revisit the BC files after a year to see if anything like that happens. Composing a short piece is even harder than writing a long one. If you can succeed in giving the admissions officers a clear and convincing snapshot of something that is uniquely you – and do it in 400 words – I say you deserve a spot in the freshman class. As someone who does a lot of writing and editing, I’d like to offer some advice to those applicants who have to submit an essay or craft a personal statement. First, write your draft from your heart. Write it from your gut. Pour yourself into it. Make it yours alone. If you have to tell about how some person or event made you feel, or how it affected your outlook on life or changed the way you do things, spill it. Don’t ask anybody else about it. Don’t try to anticipate what the school is “looking for” in your response. They want to know you. There’s something special about everybody, and that means you too. I suspect that the bland, formulaic essays that frustrated the BU admissions staff weren’t written from the heart. Rather, the applicants probably built their responses around what they thought the people at the school wanted to hear. That’s a sure way to conceal who you are, to submerge yourself in the crowd. Don’t do it. If you follow that advice, you’ll probably be surprised at how good your work has become. But you’re still not ready to submit at that point. Go find someone else to read it, critique it, and help you to make a series of fine editorial passes. If there’s no one in your family who can do it, hire a professional editor. The fifty or hundred or two hundred dollars will be money well spent. Rule of thumb: If I have to read a sentence or a paragraph more than once in order to figure out what it says, a rewrite is in order. 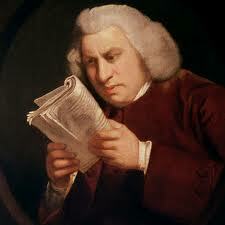 Sloppy, imprecise writing indicates sloppy, imprecise thinking. I don’t have the space to go into all aspects of a well-crafted piece of writing. But grammar is just one of them, and it includes topics like dangling modifiers, pronoun agreement, and logical comparison. A diligent editor will spot mistakes in those areas and will also point out weaknesses in word choice, idea flow, sentence structure, punctuation, and tone. •	Writing “your” when you mean “you’re.” “Your the greatest?” No, you’re not. •	Adding an apostrophe along with “s” to construct a plural. The correct spelling in the last bulleted item is “lightning.” That points up another concern: the inadequacy of spell-check. Don’t rely on it. “Lightening” is a perfectly acceptable word, but it’s not part of an electrical storm. Spell-check wouldn’t flag it, or hundreds of other mistakes of this nature. You need a gimlet-eyed editor or proof reader to do the job. Think of it this way. In that brief essay, you only have one shot to look your best. It’s perfectly acceptable to get help to be sure you do. The lovely Kate Upton couldn’t have looked any better in the recent Sports Illustrated swimsuit issue, could she? Kate didn’t go to her Antarctica photo shoot alone. Her entourage included makeup artists, hair stylists, wardrobe consultants, lighting technicians, and Lord knows who else. Just think of your editors and proofreaders as the makeup artists for your college essay. And guys – when you make it into that college, you’ll be a big hit with all those gorgeous co-eds who fall hard for men with grammatical savoir faire. Ladies – it works the other way too. The Match.com survey said that 55% of men considered good grammar a “must-have” for a second date. It’s not quite as high as your 69%, but it’s men’s second-most important trait as well. The biggest “must-have” for both sexes? Good teeth. So brush and floss before you sit down to write. Good luck! The year was 1190. Richard had succeeded his father, Henry II, on the throne of England. 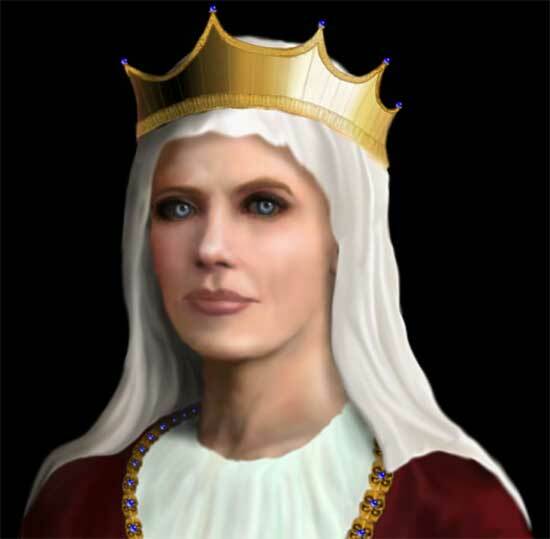 Henry’s wife was the imperious, scheming Eleanor of Aquitaine. Eleanor had once been married to King Louis VII of France. She had that one annulled, got her real estate back, then went out and snagged Henry. Eleanor knew a few things about arranging marriages for political gain. When Eleanor’s son Richard inherited the throne, he’d already been betrothed to Princess Alys, daughter of King Philip of France. But Eleanor wanted to look after her homeland, the French duchy of Aquitaine. She saw that a friendly neighboring realm was the way to go. That realm was Navarre. So Eleanor connected up with King Sancho of Navarre at a banquet in Spain, and she fixed up her son with Sancho’s oldest daughter, Berengaria. 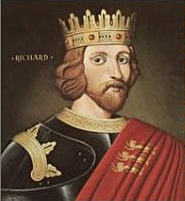 One problem: Richard had already been packed off from England to run the disastrous Third Crusade. With him out of the way, of course, Eleanor could rule in his stead, as regent. Richard was at Messina, in Sicily, when the 70-year old Eleanor and Berengaria caught up with him. He officially terminated his betrothal to Alys – a good move, because she had been sleeping with his father Henry, and probably had borne Henry at least one illegitimate child. So Richard and Berengaria got engaged. Another problem: It was Lent, so they couldn’t get married. Richard’s sister Joan, the widowed Queen of Sicily, was there too. The happy couple, now engaged, set off for the Holy Land in different ships. Joan was assigned to keep an eye on Berengaria, and traveled with her. A storm hit, the fleet got scattered –Richard’s treasure ship sunk too – and Berengaria ended up aground off the island of Cyprus. The nasty Isaac Comnenus ruled Cyprus. He threatened Berengaria and her entourage with all sorts of bad things. Richard’s fleet finally arrived and came to her rescue. He conquered the island and married Berengaria there, at the Chapel of St. George at Limassol. A couple of A-List church men were on hand, and so that same day, Berengaria was crowned Queen of England by the Archbishop of Bordeaux and the bishops of Évreux and Bayonne. Berengaria and Richard went to Acre in Palestine. She soon left, and went back to Poitou, France. Things didn’t go well for Richard, though. On his return trip to Europe, he was captured and held prisoner in Germany until 1194. Eleanor finally arranged for his ransom – by plundering the riches of the church, primarily – and got him freed. The marriage of Berengaria and Richard was not a happy one. They had no children, and he is widely believed to have been gay even though he did father at least one illegitimate child. Richard was more interested in his military campaigns than in his marriage after he returned from captivity. The marriage was seen as so rocky that Pope Celestine ordered the pair to reconcile. Richard obeyed and took Berengaria to church every week after that. Richard died in 1199 and was succeeded as King of England by his brother John. 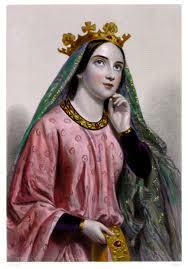 Berengaria, distressed at being overlooked as queen of England, retired to Le Mans in France. She lived in poverty because John seized her property and never paid most of her pension, which amounted to 4,000 pounds. Later on, though, John’s son Henry III came across with the funds. Berengaria may have actually come to England at one point to complain about the money. But she was never there during Richard’s lifetime, and therefore is the only queen of England who never set foot in her realm. She died in 1230 and was buried at a convent in Le Mans. In May 1912, a month after the Titanic went down, Vulcan Shipyards of Hamburg, Germany launched the Imperator, a luxurious ocean liner that was then the world’s largest ship. 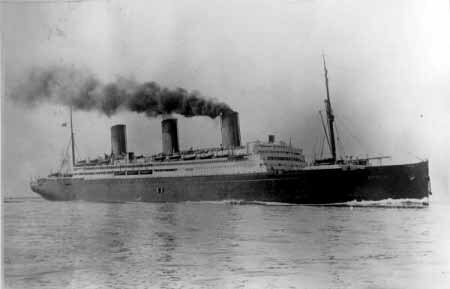 Its maiden voyage from Hamburg to New York was in June of 1913. But in July 1914, with World War I breaking out, the German navy ordered that the Imperator remain in port, lest it be seized as a war prize. The Imperator remained there until 1919 when the Americans made it into a troop transporter for returning soldiers. In August of that year, they gave the ship to the Brits as reparation for the Lusitania. The Imperator became the flagship and pride of the Cunard Line. The British rechristened her the Berengaria, in honor of the queen who never made it to her country. It was the first time that a ship was named for a queen of England. Along with the Mauretania and the Aquitania, the Berengaria was a mainstay of the Cunard Line’s express routes between Southampton and New York in the 1920s. The Berengaria was taken from service after the Queen Mary and the Queen Elizabeth were launched in 1936. The Berengaria was sold for scrap in 1938, but it took until the end of World War II to dismantle her completely. The Berengarias – Queen of England who lived in France, and luxury British ocean liner built for Imperial Germany by the man most responsible for the Great War that nearly destroyed England and the rest of Europe. And now you know their stories. You are currently browsing the Veteranscribe's Blog blog archives for March, 2013.